4150801 PC40-1 KOMATSU PC40-1 Crawler mini-excavator "PC 40" series. Spare Parts Catalog. Service (workshop) Manual. Operator's Instruction Manual. 4150802 PC40-2 KOMATSU PC40-2 Crawler mini-excavator "PC 40" series. Spare Parts Catalog. Service (workshop) Manual. Operator's Instruction Manual. 4150803 PC40-3 KOMATSU PC40-3 Crawler mini-excavator "PC 40" series. Spare Parts Catalog. Service (workshop) Manual. Operator's Instruction Manual. 4150804 PC40-5 KOMATSU PC40-5 Crawler mini-excavator "PC 40" series. Spare Parts Catalog. Service (workshop) Manual. Operator's Instruction Manual. 4150805 PC40-6 KOMATSU PC40-6 Crawler mini-excavator "PC 40" series. Spare Parts Catalog. Service (workshop) Manual. Operator's Instruction Manual. 4150806 PC40-7 KOMATSU PC40-7 Crawler mini-excavator "PC 40" series. Spare Parts Catalog. Service (workshop) Manual. Operator's Instruction Manual. 4150807 PC40FR-1 KOMATSU PC40FR-1 Crawler mini-excavator "PC 40" series. Spare Parts Catalog. Service (workshop) Manual. Operator's Instruction Manual. 4150808 PC40FR-2 KOMATSU PC40FR-2 Crawler mini-excavator "PC 40" series. Spare Parts Catalog. Service (workshop) Manual. Operator's Instruction Manual. 4150809 PC40LC-7 KOMATSU PC40LC-7 Crawler mini-excavator "PC 40" series. Spare Parts Catalog. Service (workshop) Manual. Operator's Instruction Manual. 4150810 PC40MR-1 KOMATSU PC40MR-1 Crawler mini-excavator "PC 40" series. Spare Parts Catalog. Service (workshop) Manual. Operator's Instruction Manual. 4150811 PC40MR-2 KOMATSU PC40MR-2 Crawler mini-excavator "PC 40" series. Spare Parts Catalog. Service (workshop) Manual. Operator's Instruction Manual. 4150812 PC40MR-2 Galeo KOMATSU PC40MR-2 Galeo Crawler mini-excavator "PC 40" series. Spare Parts Catalog. Service (workshop) Manual. Operator's Instruction Manual. 4150813 PC40MR-3 KOMATSU PC40MR-3 Crawler mini-excavator "PC 40" series. Spare Parts Catalog. Service (workshop) Manual. Operator's Instruction Manual. 4150814 PC40MRX-1 KOMATSU PC40MRX-1 Crawler mini-excavator "PC 40" series. Spare Parts Catalog. Service (workshop) Manual. Operator's Instruction Manual. 4150815 PC40MRX-2 KOMATSU PC40MRX-2 Crawler mini-excavator "PC 40" series. Spare Parts Catalog. Service (workshop) Manual. Operator's Instruction Manual. 4150816 PC40R-7 KOMATSU PC40R-7 Crawler mini-excavator "PC 40" series. Spare Parts Catalog. Service (workshop) Manual. Operator's Instruction Manual. 4150817 PC40R-8 KOMATSU PC40R-8 Crawler mini-excavator "PC 40" series. Spare Parts Catalog. Service (workshop) Manual. Operator's Instruction Manual. 4150818 PC40T-7 KOMATSU PC40T-7 Crawler mini-excavator "PC 40" series. Spare Parts Catalog. Service (workshop) Manual. Operator's Instruction Manual. 4150820 PC45-1 KOMATSU PC45-1 Crawler mini-excavator "PC 45" series. Spare Parts Catalog. Service (workshop) Manual. Operator's Instruction Manual. 4150821 PC45MR-1 KOMATSU PC45MR-1 Crawler mini-excavator "PC 45" series. Spare Parts Catalog. Service (workshop) Manual. Operator's Instruction Manual. 4150822 PC45MR-3 KOMATSU PC45MR-3 Crawler mini-excavator "PC 45" series. Spare Parts Catalog. Service (workshop) Manual. Operator's Instruction Manual. 4150823 PC45MRX-1 KOMATSU PC45MRX-1 Crawler mini-excavator "PC 45" series. Spare Parts Catalog. Service (workshop) Manual. Operator's Instruction Manual. 4150824 PC45R-8 KOMATSU PC45R-8 Crawler mini-excavator "PC 45" series. Spare Parts Catalog. Service (workshop) Manual. Operator's Instruction Manual. 4150826 PC50FR-1 Crawler excavator KOMATSU PC50FR-1 Crawler mini-excavator "PC 50" series. Spare Parts Catalog. Service (workshop) Manual. Operator's Instruction Manual. 4150827 PC50FR-2 Crawler excavator KOMATSU PC50FR-2 Crawler mini-excavator "PC 50" series. Spare Parts Catalog. Service (workshop) Manual. Operator's Instruction Manual. 4150828 PC50MR-2 Crawler excavator KOMATSU PC50MR-2 Crawler mini-excavator "PC 50" series. Spare Parts Catalog. Service (workshop) Manual. Operator's Instruction Manual. 4150829 PC50MR-2 Galeo Crawler excavator KOMATSU PC50MR-2 Galeo Crawler mini-excavator "PC 50" series. Spare Parts Catalog. Service (workshop) Manual. Operator's Instruction Manual. 4150830 PC50MR-3 Crawler excavator KOMATSU PC50MR-3 Crawler mini-excavator "PC 50" series. Spare Parts Catalog. Service (workshop) Manual. Operator's Instruction Manual. 4150831 PC50MRX-2 Crawler excavator KOMATSU PC50MRX-2 Crawler mini-excavator "PC 50" series. Spare Parts Catalog. Service (workshop) Manual. Operator's Instruction Manual. 4150832 PC50T Crawler excavator KOMATSU PC50T Crawler mini-excavator "PC 50" series. Spare Parts Catalog. Service (workshop) Manual. Operator's Instruction Manual. 4150833 PC50T-2 Crawler excavator KOMATSU PC50T-2 Crawler mini-excavator "PC 50" series. Spare Parts Catalog. Service (workshop) Manual. Operator's Instruction Manual. 4150834 PC50UD-2 Crawler excavator KOMATSU PC50UD-2 Crawler mini-excavator "PC 50" series. Spare Parts Catalog. Service (workshop) Manual. Operator's Instruction Manual. 4150835 PC50UU-1 Crawler excavator KOMATSU PC50UU-1 Crawler mini-excavator "PC 50" series. Spare Parts Catalog. Service (workshop) Manual. Operator's Instruction Manual. 4150836 PC50UU-2 Crawler excavator KOMATSU PC50UU-2 Crawler mini-excavator "PC 50" series. Spare Parts Catalog. Service (workshop) Manual. Operator's Instruction Manual. 4150837 PC50UUM-2 Crawler excavator KOMATSU PC50UUM-2 Crawler mini-excavator "PC 50" series. Spare Parts Catalog. Service (workshop) Manual. Operator's Instruction Manual. 4150839 PC55MR-3 Crawler excavator KOMATSU PC55MR-3 Crawler mini-excavator "PC 55" series. Spare Parts Catalog. Service (workshop) Manual. Operator's Instruction Manual. 4150841 PC58SF-1 Crawler excavator KOMATSU PC58SF-1 Crawler mini-excavator "PC 58" series. Spare Parts Catalog. Service (workshop) Manual. Operator's Instruction Manual. 4150842 PC58UU-3 Crawler excavator KOMATSU PC58UU-3 Crawler mini-excavator "PC 58" series. Spare Parts Catalog. Service (workshop) Manual. Operator's Instruction Manual. 4150843 PC58UU-5 Crawler excavator KOMATSU PC58UU-5 Crawler mini-excavator "PC 58" series. Spare Parts Catalog. Service (workshop) Manual. Operator's Instruction Manual. 4150844 PC58UU-6 Crawler excavator KOMATSU PC58UU-6 Crawler mini-excavator "PC 58" series. Spare Parts Catalog. Service (workshop) Manual. Operator's Instruction Manual. 4150845 PC58UUT-3 Crawler excavator KOMATSU PC58UUT-3 Crawler mini-excavator "PC 58" series. Spare Parts Catalog. Service (workshop) Manual. Operator's Instruction Manual. 4150846 PC58UUT-5 Crawler excavator KOMATSU PC58UUT-5 Crawler mini-excavator "PC 58" series. Spare Parts Catalog. Service (workshop) Manual. Operator's Instruction Manual. 4150848 PC60 Avance Crawler excavator KOMATSU PC60 Avance Crawler mini-excavator "PC 60" series. Spare Parts Catalog. Service (workshop) Manual. Operator's Instruction Manual. 4150849 PC60-1 Crawler excavator KOMATSU PC60-1 Crawler mini-excavator "PC 60" series. Spare Parts Catalog. Service (workshop) Manual. Operator's Instruction Manual. 4150850 PC60-2 Crawler excavator KOMATSU PC60-2 Crawler mini-excavator "PC 60" series. Spare Parts Catalog. Service (workshop) Manual. Operator's Instruction Manual. 4150851 PC60-3 Crawler excavator KOMATSU PC60-3 Crawler mini-excavator "PC 60" series. Spare Parts Catalog. Service (workshop) Manual. Operator's Instruction Manual. 4150852 PC60-5 Crawler excavator KOMATSU PC60-5 Crawler mini-excavator "PC 60" series. Spare Parts Catalog. Service (workshop) Manual. Operator's Instruction Manual. 4150853 PC60-6 Crawler excavator KOMATSU PC60-6 Crawler mini-excavator "PC 60" series. Spare Parts Catalog. Service (workshop) Manual. Operator's Instruction Manual. 4150854 PC60-7 Crawler excavator KOMATSU PC60-7 Crawler mini-excavator "PC 60" series. Spare Parts Catalog. Service (workshop) Manual. Operator's Instruction Manual. 4150855 PC60L-1 Crawler excavator KOMATSU PC60L-1 Crawler mini-excavator "PC 60" series. Spare Parts Catalog. Service (workshop) Manual. Operator's Instruction Manual. 4150856 PC60L-2 Crawler excavator KOMATSU PC60L-2 Crawler mini-excavator "PC 60" series. Spare Parts Catalog. Service (workshop) Manual. Operator's Instruction Manual. 4150857 PC60L-3 Crawler excavator KOMATSU PC60L-3 Crawler mini-excavator "PC 60" series. Spare Parts Catalog. Service (workshop) Manual. Operator's Instruction Manual. 4150858 PC60L-5 Crawler excavator KOMATSU PC60L-5 Crawler mini-excavator "PC 60" series. Spare Parts Catalog. Service (workshop) Manual. Operator's Instruction Manual. 4150859 PC60L-6 Crawler excavator KOMATSU PC60L-6 Crawler mini-excavator "PC 60" series. Spare Parts Catalog. Service (workshop) Manual. Operator's Instruction Manual. 4150860 PC60SC-7 Crawler excavator KOMATSU PC60SC-7 Crawler mini-excavator "PC 60" series. Spare Parts Catalog. Service (workshop) Manual. Operator's Instruction Manual. 4150861 PC60U-1 Crawler excavator KOMATSU PC60U-1 Crawler mini-excavator "PC 60" series. Spare Parts Catalog. Service (workshop) Manual. Operator's Instruction Manual. 4150862 PC60U-2 Crawler excavator KOMATSU PC60U-2 Crawler mini-excavator "PC 60" series. Spare Parts Catalog. Service (workshop) Manual. Operator's Instruction Manual. 4150863 PC60U-3 Crawler excavator KOMATSU PC60U-3 Crawler mini-excavator "PC 60" series. Spare Parts Catalog. Service (workshop) Manual. Operator's Instruction Manual. 4150864 PC60U-5 Crawler excavator KOMATSU PC60U-5 Crawler mini-excavator "PC 60" series. Spare Parts Catalog. Service (workshop) Manual. Operator's Instruction Manual. 4150866 PC70-6 Crawler excavator KOMATSU PC70-6 Crawler mini-excavator "PC 70" series. Spare Parts Catalog. Service (workshop) Manual. Operator's Instruction Manual. 4150867 PC70-7 Crawler excavator KOMATSU PC70-7 Crawler mini-excavator "PC 70" series. Spare Parts Catalog. Service (workshop) Manual. Operator's Instruction Manual. 4150868 PC70-8 Crawler excavator KOMATSU PC70-8 Crawler mini-excavator "PC 70" series. Spare Parts Catalog. Service (workshop) Manual. Operator's Instruction Manual. 4150869 PC70FR-1 Crawler excavator KOMATSU PC70FR-1 Crawler mini-excavator "PC 70" series. Spare Parts Catalog. Service (workshop) Manual. Operator's Instruction Manual. 4150871 PC75-1 Crawler excavator KOMATSU PC75-1 Crawler mini-excavator "PC 75" series. Spare Parts Catalog. Service (workshop) Manual. Operator's Instruction Manual. 4150872 PC75R-2 Crawler excavator KOMATSU PC75R-2 Crawler mini-excavator "PC 75" series. Spare Parts Catalog. Service (workshop) Manual. Operator's Instruction Manual. 4150873 PC75UD-2 Crawler excavator KOMATSU PC75UD-2 Crawler mini-excavator "PC 75" series. Spare Parts Catalog. Service (workshop) Manual. Operator's Instruction Manual. 4150874 PC75UD-2E Crawler excavator KOMATSU PC75UD-2E Crawler mini-excavator "PC 75" series. Spare Parts Catalog. Service (workshop) Manual. Operator's Instruction Manual. 4150875 PC75UD-3 Crawler excavator KOMATSU PC75UD-3 Crawler mini-excavator "PC 75" series. Spare Parts Catalog. Service (workshop) Manual. Operator's Instruction Manual. 4150876 PC75US-3 Crawler excavator KOMATSU PC75US-3 Crawler mini-excavator "PC 75" series. Spare Parts Catalog. Service (workshop) Manual. Operator's Instruction Manual. 4150877 PC75UU-1 Crawler excavator KOMATSU PC75UU-1 Crawler mini-excavator "PC 75" series. Spare Parts Catalog. Service (workshop) Manual. Operator's Instruction Manual. 4150878 PC75UU-2 Crawler excavator KOMATSU PC75UU-2 Crawler mini-excavator "PC 75" series. Spare Parts Catalog. Service (workshop) Manual. Operator's Instruction Manual. 4150879 PC75UU-3 Crawler excavator KOMATSU PC75UU-3 Crawler mini-excavator "PC 75" series. Spare Parts Catalog. Service (workshop) Manual. Operator's Instruction Manual. 4150880 PC75UUT-2 Crawler excavator KOMATSU PC75UUT-2 Crawler mini-excavator "PC 75" series. Spare Parts Catalog. Service (workshop) Manual. Operator's Instruction Manual. 4150881 PC75UUT-3 Crawler excavator KOMATSU PC75UUT-3 Crawler mini-excavator "PC 75" series. Spare Parts Catalog. Service (workshop) Manual. Operator's Instruction Manual. 4150883 PC78MR-6 Crawler excavator KOMATSU PC78MR-6 Crawler mini-excavator "PC 78" series. Spare Parts Catalog. Service (workshop) Manual. Operator's Instruction Manual. 4150884 PC78US-5 Crawler excavator KOMATSU PC78US-5 Crawler mini-excavator "PC 78" series. Spare Parts Catalog. Service (workshop) Manual. Operator's Instruction Manual. 4150885 PC78US-6 Crawler excavator KOMATSU PC78US-6 Crawler mini-excavator "PC 78" series. Spare Parts Catalog. Service (workshop) Manual. Operator's Instruction Manual. 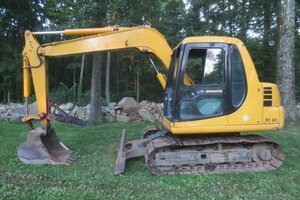 4150886 PC78US-8 Crawler excavator KOMATSU PC78US-8 Crawler mini-excavator "PC 78" series. Spare Parts Catalog. Service (workshop) Manual. Operator's Instruction Manual. 4150887 PC78UU-6 Crawler excavator KOMATSU PC78UU-6 Crawler mini-excavator "PC 78" series. Spare Parts Catalog. Service (workshop) Manual. Operator's Instruction Manual. 4150888 PC78UU-8 Crawler excavator KOMATSU PC78UU-8 Crawler mini-excavator "PC 78" series. Spare Parts Catalog. Service (workshop) Manual. Operator's Instruction Manual. 4150889 PC78UUT-6 Crawler excavator KOMATSU PC78UUT-6 Crawler mini-excavator "PC 78" series. Spare Parts Catalog. Service (workshop) Manual. Operator's Instruction Manual. 4150891 PC80-1 Crawler excavator KOMATSU PC80-1 Crawler mini-excavator "PC 80" series. Spare Parts Catalog. Service (workshop) Manual. Operator's Instruction Manual. 4150892 PC80-3 Crawler excavator KOMATSU PC80-3 Crawler mini-excavator "PC 80" series. Spare Parts Catalog. Service (workshop) Manual. Operator's Instruction Manual. 4150893 PC80LC-3 Crawler excavator KOMATSU PC80LC-3 Crawler mini-excavator "PC 80" series. Spare Parts Catalog. Service (workshop) Manual. Operator's Instruction Manual. 4150894 PC80MR-3 Crawler excavator KOMATSU PC80MR-3 Crawler mini-excavator "PC 80" series. Spare Parts Catalog. Service (workshop) Manual. Operator's Instruction Manual. 4150895 PC88MR-6 Crawler excavator KOMATSU PC88MR-6 Crawler mini-excavator "PC 80" series. Spare Parts Catalog. Service (workshop) Manual. Operator's Instruction Manual. 4150896 PC88MR-8 Crawler excavator KOMATSU PC88MR-8 Crawler mini-excavator "PC 80" series. Spare Parts Catalog. Service (workshop) Manual. Operator's Instruction Manual. 4150898 PC90-1 Crawler excavator KOMATSU PC90-1 Crawler mini-excavator "PC 90" series. Spare Parts Catalog. Service (workshop) Manual. Operator's Instruction Manual. 4150900 PC95-1 Crawler excavator KOMATSU PC95-1 Crawler mini-excavator "PC 95" series. Spare Parts Catalog. Service (workshop) Manual. Operator's Instruction Manual. 4150901 PC95R-2 Crawler excavator KOMATSU PC95R-2 Crawler mini-excavator "PC 95" series. Spare Parts Catalog. Service (workshop) Manual. Operator's Instruction Manual.